Liam is a Partner in our Litigation, Insolvency & Restructuring Group where he specialises in insolvency, restructuring, investment fund litigation and shareholder disputes. As part of his practice, Liam advises on both Cayman and BVI law, having spent three years working for a leading law firm in the British Virgin Islands prior to joining Campbells’ Cayman office in 2015. 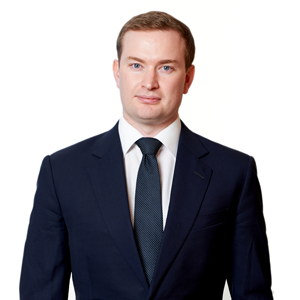 Liam has particular expertise in offshore disputes arising out of the PRC having worked in Campbells’ Hong Kong office as a Registered Foreign Lawyer between 2016 and 2017. Liam is an INSOL International Fellow (2017).